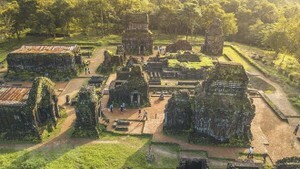 Vietnam's trade deficit in May is about US$1.7 billion, the highest level since January 2010, taking the deficit so far this year to $6.59 billion, according to the General Statistics Office. The deficit, which has been rising every month this year, worth US$6.6 billion and was up 19 percent year in comparison against the same period of 2010. In May exports were up nearly 1 percent from the previous month and 18.74 percent year on year to US$7.5 billion while imports rose over 3 percent month on month and 28 percent year on year to US$9.2 billion. 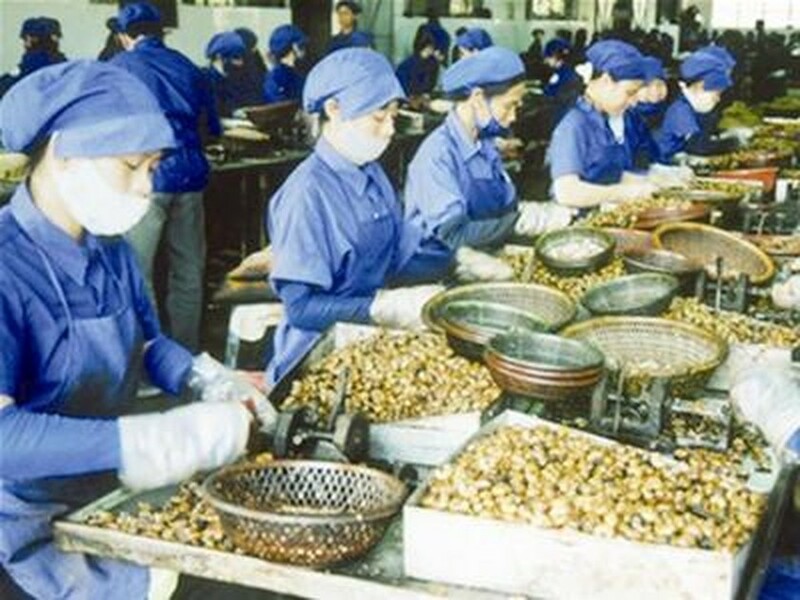 Workers process cashew nuts for export at a factory in Vietnam. The major import items in May were oil and gas ($934 million), iron and steel ($642 million), fabric ($750 million), and animal feed and materials ($160 million). Imports of luxury goods like automobiles, motorbikes, and electronics were all slightly up at $292 million, $80 million, and $500 million. Apparel exports were up 11.9 percent at $1.19 billion, seafood fetched $520 million, a 12.3 percent rise, and rice exports were worth $317 million, down 14.3 percent. So far this year imports have been worth $41.3 billion, a 29.7 percent rise, with domestic firms accounting for $23.7 billion. It included $5.75 billion worth machinery and equipment, $4.53 billion worth oil, $2.86 worth steel, $2.85 billion worth fabric, and $2.3 billion worth electronics. Total exports this year have topped $34.7 billion, 32.8 percent up year on year, with foreign firms accounting for more than half. Key items included apparel, seafood, crude oil, coffee, and rice. Rubber exports were up 113 percent at $1.52 billion; coffee was 121.7 percent up at $1.77 billion; crude oil was up 37 percent at $2.98 billion for; textiles were up 35.6 percent to $5.1 billion; and footwear was up 31.8 percent at $2.37 billion. The state sector saw year-on-year growth of 31 percent to $15 billion while the foreign sector’s exports were up 34.2 percent to $19.01 billion. The government devalued the dong for the 4th time in 15 months on February 11 to help curb the trade gap which was eroding its foreign-currency holdings. The deficit and size of reserves were about the same as at end-2010, raising the specter of a hard-currency shortage causing a financial crisis, the Heritage Foundation in Washington said May 23. “Watch out for the trade deficit,” Tai Hui, the Singapore-based head of Southeast Asian research at Standard Chartered Plc, warned in a note.